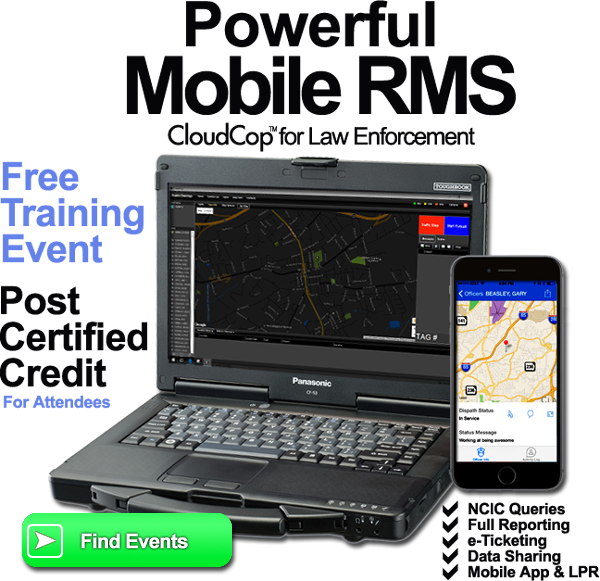 Powerful MOBILE Law Enforcement Software with Aircard Sync, Lets Your Officers Work & Sync from Anywhere. 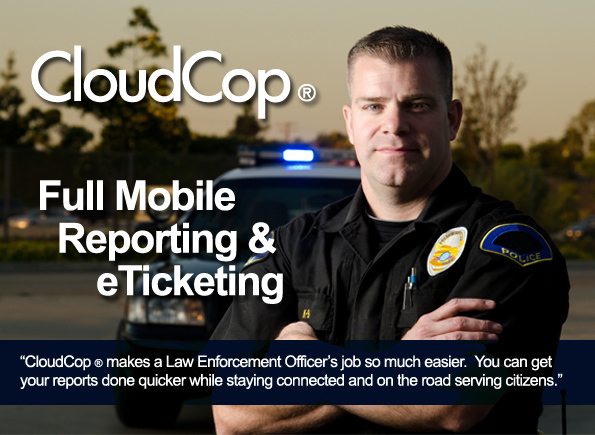 Our CloudCop ® Mobile RMS Desktop allows your officers to work and sync from ANYWHERE. 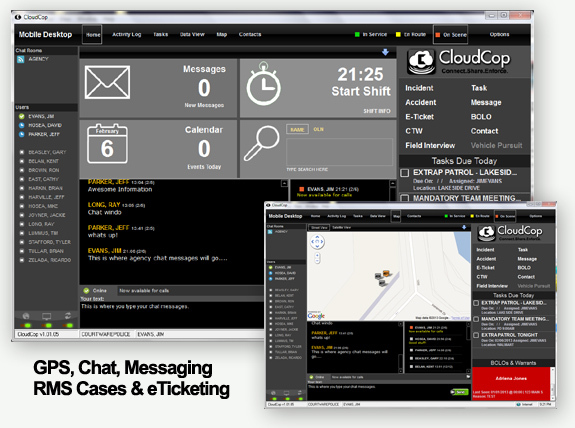 Whether you need to enter an Incident, Accident, Family Violence, Juvenile Complaint or Arrest and Booking Report, CloudCop ® makes your job EASY. The user interface is super-easy to use and requires very little training. A night vision color scheme emits less light during in-car reporting which keeps your officers safer at night. Agency chat and messaging features keep your officers connected in the field. Our Daily Activity Report (DAR) and Task Assignments features helps you track, manage and stimulate your team's productivity. GPS tracking will help you know where your team is at all times. Administrators and Commanders will enjoy the CommandMobile App which provides a real-time view of activity, reporting with approvals or denials, statistics and team locations. We are very proud to offer a business model that perfectly meets the needs of all size agencies and courts.  Your Agency can get ALL of our software and services including Police Records Management, Court Management and Online Fine Payments with no money upfront and no money out of your budget. Our software is simple, powerful, and it will streamline and simplify your processing of court. We do more of the work for you, so you don't have to. You'll never pay for training, support or upgrades. If you should ever need help, our industry-leading support will AMAZE you. And, this software won't cost your law abiding citizens a dime! When you get COURTWARE, you're getting the BEST. It just makes sense. CloudCop ® system it's many features. You can view the demo from the comfort of your office at a time that is convenient for you.